Restaurants in Acapulco allow tourists to sample an array of traditional Mexican cuisine and sample many local specialities. When dining out in Acapulco, restaurants cater for all needs, serving inexpensive family meals and at the other end of the scale, provide fine dining with sumptuous spreads. 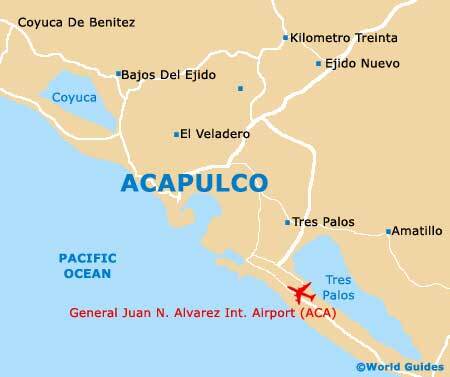 However, if Mexican cuisine isn't your thing, don't be alarmed, since Acapulco caters well for the tourist market and features plenty of alternative restaurants, such as the Hard Rock Cafe and a number of good Italian eateries. 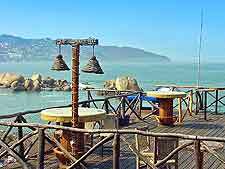 Many of the most popular restaurants within Acapulco enjoy elevated settings, boasting stunning views across the bay. Views of Acapulco bay can be extremely romantic at night, when hundreds of lights reflect in the waters. The many Mexican restaurants in Acapulco are beginning to gain quite a reputation with foodies and those looking for fine dining. Due to its coastal setting, seafood dishes and shrimps in particular are always a firm favourite in Acapulco and favoured by both locals and tourists alike. 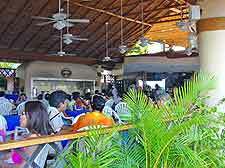 Many popular restaurants within Acapulco can be found around the cruise ship terminal, where cheap eateries cater well for the arriving crowds. Old Acapulco is a good place to come for fine dining, with a cluster of local restaurants located on the western side of the Zócalo, within the Juárez area, including a Mr Taco outlet. 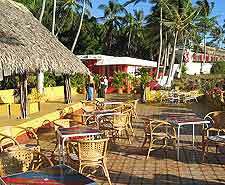 Restaurants are especially concentrated within Acapulco's spreading Golden Area (Zona Dorada) and in particular along the Avenida Casiera Miguel Aleman. Dining is also plentiful around the Diamond Zone, with many eateries located on Boulevard de las Naciones and the Carretera Escénica.